The Stratosphere Casino, Hotel & Tower is once again offering anyone with a Nevada ID a free pass to the top of the iconic landmark from Sunday February. 22 to Saturday February 28, 2015. However, visitors who are under 21 need to be accompanied by an adult. The pass allows free access to the tower's indoor and outdoor observation decks at Level 108 and Level 109. 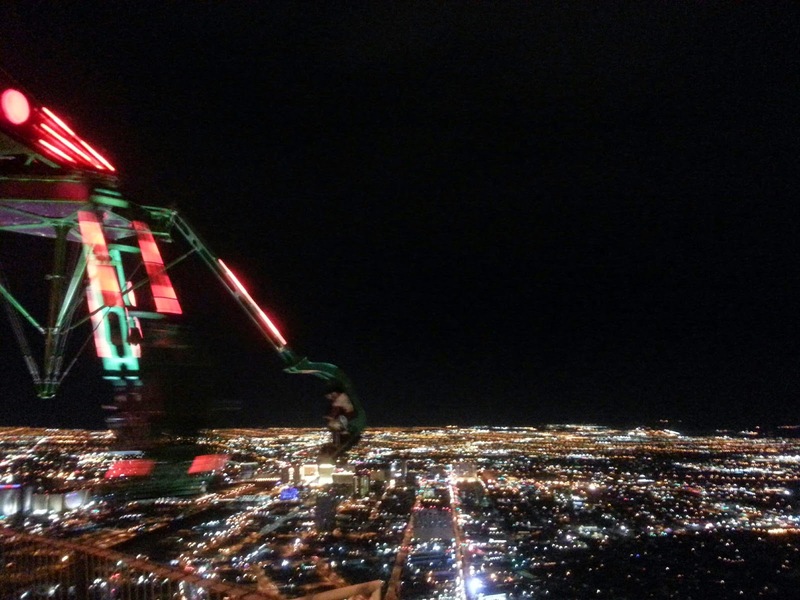 Guests can also purchase tickets for Skyjump Las Vegas, a 855-foot or 261-meter high speed controlled descent, or the thrill rides X-Scream, Insanity, and Big Shot. 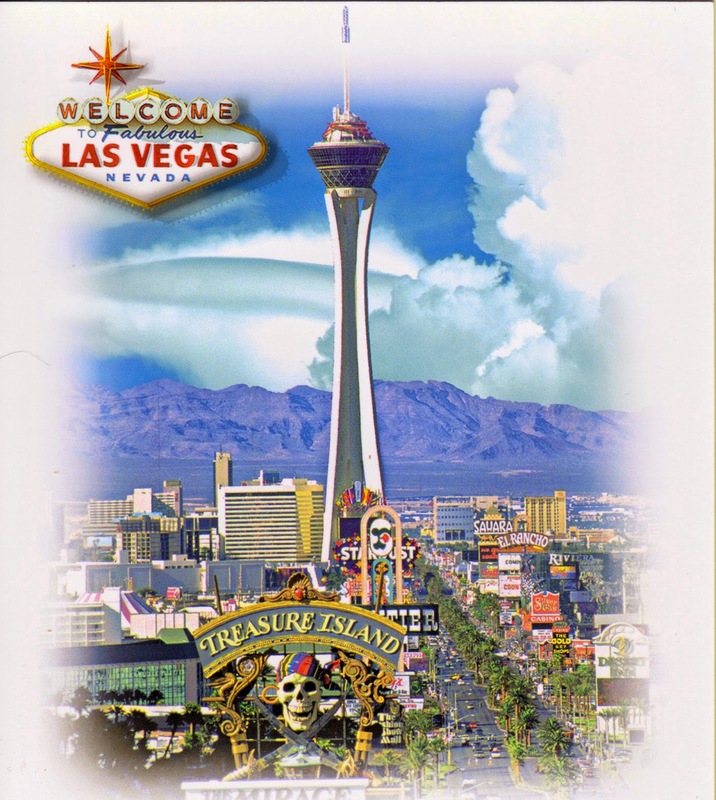 The postcard showing the Stratosphere Tower with the Sheep Range and Las Vegas Range in the background was a private card sent to Taiwan. Insanity dangles riders over the edge of the tower and spins them in circles at 900 feet or 270 meters above the ground.